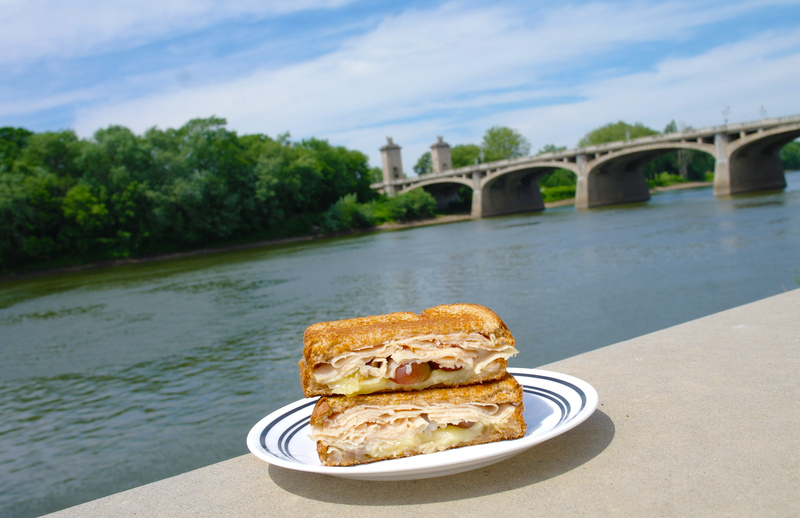 For a riverfront picnic, grilled sandwiches may not be ideal, but if you can manage to pull it off, it’s a surprisingly refreshing treat for a day out in nature. Rarely are three elements of sandwich so well-balanced than they are here– melting cheese that functionally binds the juicy grape halves to the filling, protein-rich turkey. Flavor-wise, it’s also balanced. Though the uncommon addition of grapes to a sandwich is the strongest standout for identity, this sandwich knows itself well, inside and out. It’s a sandwich that you or I might aspire to.